Have a look at the pictures, then have a try. Some will tell you that it's interesting! Mix the yogurt with the nutella as long as you can. Ideally, if you have a food processor, put it in the slower scale and leave it for 10 minutes; this will make it smooth, soft and well combined. If you use a hand beater, do it for at least 15 minutes, if not longer. Put it in the fridge for 2 to 3 hours to cool off. Serve it with small pieces of digestive cookies on top. To give a twist, add grated hazelnuts, given your guests' approval! It's here once again. 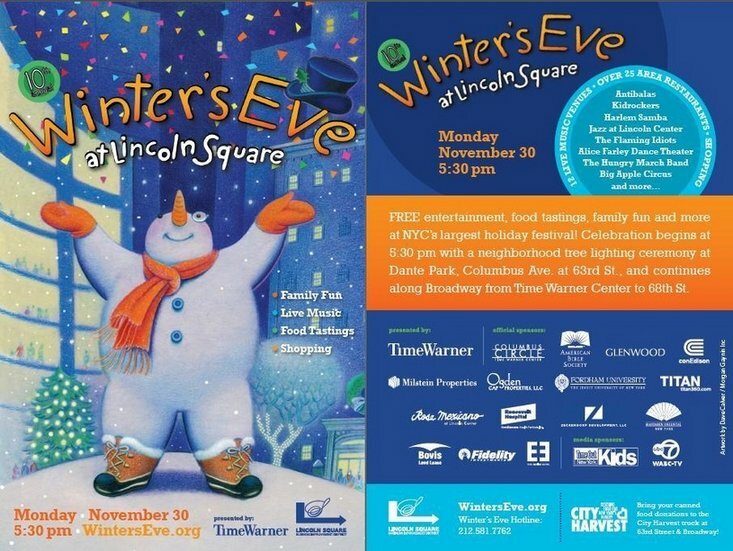 Celebrations will start from 5.30pm with the tree lighting ceremony at Dante park, Columbus Avenue (63rd street). Free food samples and tastings, live music and shopping discounts are to be found across the neighborhood starting from Lincoln Square and extending to Time and Warner building. 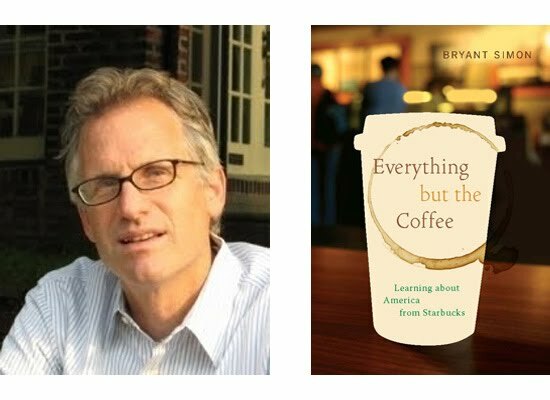 Author and Temple University Professor Bryant Simon will be spending an evening at the Waverly Place Joe, on November 19th at 8pm, speaking about his new book about Starbucks, Everything But The Coffee. Everything But The Coffee casts a fresh eye on the world's most famous coffee company and looks beyond baristas, movie cameos, and Paul McCartney CDs to understand what Starbucks can tell us about America. Bryant Simon spent five years visiting hundreds of Starbucks around the world to ask, why did Starbucks take hold so quickly with consumers? What did it seem to provide over and above a decent cup of coffee? Why at the moment of Starbucks' profit-generating peak did the company lose its way, leaving observers baffled about how it might regain its customers and its cultural significance? Everything But The Coffee is the first book about Starbucks that probes the company's psychological, emotional, political, and sociological power to discover how Starbucks' explosive success and rapid deflation exemplify American culture at this historical moment. Most importantly, it shows that Starbucks speaks to a deeply felt American need for predictability and class standing, community and authenticity, revealing that Starbucks' appeal lies not in the product it sells but in the easily consumed identity it offers. There will be free drip coffee as well. New Amsterdam Market has begun to include coffee purveyors in its roster of vendors; the November 22 market will include Stumptown Coffee Roasters and Intelligentsia Coffee and Tea, with more to follow in December. The market runs from 11am to 4pm on Sunday, November 22; at 3:00pm, you can also experience the season’s best offerings from the Intelligentsia coffee line-up while David Latourell discusses tasting terminology, processing, and the emerging practice of direct-sourcing. This event will be held in the hidden attic spaces of Schermerhorn Row, once occupied by J.P. Bennett and Co., a leading coffee roaster and retailer in the late 19th century - when 80 percent of the coffee consumed by Americans arrived via New York’s East River port. Noted historian Steven H. Jaffe will round out the afternoon with a brief overview of the coffee trade and its relation to the Seaport. Leave with a light buzz and half a pound of your favorite roast. The South Street Seaport Museum generously donated the venue for this event. It is said that champagne has a celebratory element. We drink it and we toast to our success, weddings, anniversaries and on the whole to celebrate new, fun and happy incidents in our life. But champagne is popular because is tasty and bubbly and easy to drink. "We started in DC, at the French Embassy four years ago and the event was successful so we started to take it to various cities nationwide. We chose champagne as it has a specific interest to people because of its celebratory quality and its unique aura around it but also for the name of Champagne. Champagne is known as the true Champagne, it is the only one that comes from the Champagne region of France and as such it is a very popular beverage that is accepted by all " said Richard Marble, the founder of Tour de Champagne. As a guest at the Tour de Champagne event in New York yesterday, I had the chance to drink champagne from over 20 houses including Moët & Chandon, Veuve Clicquot, Ruinart, Dom Perignon, Krug and Aubry amongst others. I also experienced the pairing of champagne with certain elegantly made appetizers courtesy of various top named NYC restaurants. But it wouldn't be a champagne event without chocolate so La Maison du Chocolat and the L' Atelier du Chocolat were both present with indulging pralines and truffles. 1. Fish is ideal and highly recommended by chefs and champagne connoisseurs. Therefore, the lobster bisque was the perfect company with a glass of bubbly and so was the oyster cake. 2. A Chardonnay champagne goes better with crème brûlée and ice cream but a Pinot Noir champagne will be better with dark fruit and chocolate. "It is a misnorm that Champagne only goes with certain types of foods like dessert, it's not really the case. We see at different Tours seafood and sushi that is a good pairing . The idea is to show that Champagne goes well with many foods. We bring together restaurants and chefs that choose certain foods and let the audience experience what is the best combination" continued Richard Marble. I also tasted the famous crêpes Suzette courtesy of the famous Chicago restaurant Cook au Vin. The VIP Lounge was another pleasant surprise for the attendees: with more champagne but also Peyrot Cognac and canapés offered by Allure and live jazz, it was the most relaxing and luxury treat after doing the rounds of champagne sipping. Richard Marble wants the Tour to expand in the United States, "add a few more cities and this is the best time to do it. We try to make it at a manageable pace". I am sure the Tour will go further very soon because who doesn't like champagne? There is plenty of space for celebration in many more cities in the USA and in the world. 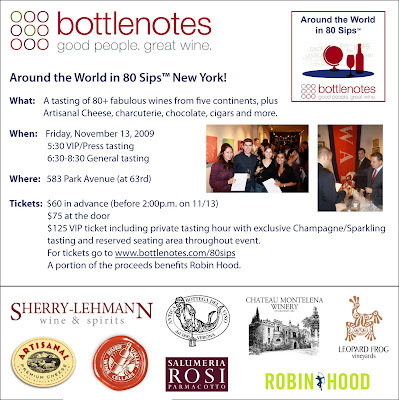 Bottlenotes will be offering a Tasting of more than 80 wines from around the world this coming Friday, 11.13 from 6:30pm. Artisanal Cheese, charcuterie and chocolate will pair the wines. Fullybooked.com readers can get $10 off tickets with the code FULLYBOOKED. Make the most of it, sip and induldge, this is the best way to finish off your week! "Food is always the answer" was saying the marketing card promoting the Food for thought new trivia challenge game for the hostess. Is this one of the reasons people go to Food Festivals, including the EAT DRINK COOK LIVE Tastings that found a new home this year at the LAVenue in Chelsea? The venue was definitely smaller than the unnecessary massive space of PIER 94. Tastings were generous and satisfying but so were the long lines of participants. 1. Where are the vegetarians? The public is hungry...for meat. The longest lines were obviously for the Debragga's butcher who was giving out small portions of steaks (and who accidentally confused me with one of his friends asking me how is my dog, he didn't know that I actually hate dogs!). Benjamin's Steakhouse, Xie Xie and Ricardo's steakhouse saw all huge, endless lines for a tiny piece of meat, steak or something similar. I realized suddenly that New Yorkers have a special relationship with meat and they have all transformed to carnivores. And with very few exceptions, most of the participating restaurants, delis and gourmet brands included meat and dairy in their abundant samples...Tasty, I like it and I approve. 2. Sushi proved very popular with the line that never ended for Natsumi Restaurant's sushi and rolls, all fresh and well presented. 4. Special "gourmet" dips as the wonderfully packaged Pestos with Panache by Lauren, unique and unusual but nonetheless welcoming. What would you say for the Fig and Gorgonzola pesto? 5. Ess-a-Bagel! This the first time that I actually found a bagel bakery exhibiting in a food show. Are bagels on a crisis? I don't think so! On the drinks front, there was a variety of strong and unique cocktails and mixologists who gave talks and signed their books. I tried the tequila with sherry cocktail, too strong for my taste. But I gave in joyfully for the pink champagne cocktail, sweet but pleasant. I give 10/10 to the Bally Hotel chef from Atlantic City for his roasted pepper crème brûlée with smoked chicken and corn salad, a smooth experience in the palate and amazingly presented in the small, black cooking pan. PT 212's (Planet Thailand) dry beef with papaya salad and sticky rice was a culinary experience (I heard people praising the papaya salad). Unforgettable was the chili offered not far from the entrance, a real comfort! This year’s New Literature from Europe series features the pleasures (and agonies) of eating. “Eat Your Words: When Writers Speak of Food” invites you to get to know the work of German author Christoph Peters, whose Mitsukos Restaurant was published by Luchterhand in 2009, and of Agnès Desarthe (France), Jesús Ruiz Mantilla (Spain), and Clara Sereni (Italy), through readings and a discussion led by Mark Kurlansky, author of The Food of a Younger Land and Salt. A reception will follow the discussion. 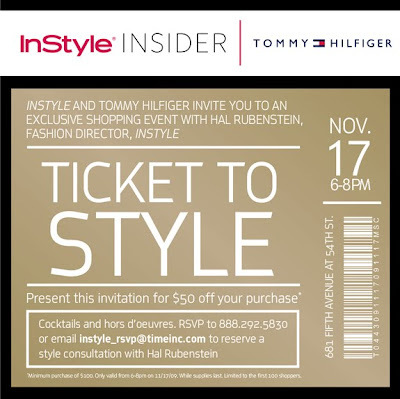 The Taste of T took place yesterday, November 5th at the elegant Architects and Designers Building hosting a number of celebrity chefs and restaurants to a really hungry for quality food public. Spread out on 11 floors, chefs, culinary experts, huge tables with tiny sample plates and cups were presented in a rather disciplined manner, despite the huge lines and the crowds. I stood for over 10 minutes on the line for Psilakis from Anthos scallop with the spicy honey, berry and ham on top, so light and simple but robust in taste that I almost thought that it was worth the wait. I tried the mouthwatering lobster roll, courtesy of Pearl Oyster Bar and chef Rebecca Charles, a creamy combination of lobster, mayo and (probably) onions in a sweet, brioche-like roll, a comforting and pleasurable palate driven experience. Missy Robbins's A voce creation, a baked mushroom topped with fontina cheese sauce and hazelnut was another amazing culinary conception, light but mature enough for the grown ups. Dan Barber's Blue Hill vegetable soup bottomed with buttermilk and topped with a thin cheese cracker didn't impress me - maybe because I was expecting more but the presentation was impeccable. One of the best was the creation of Eric Hara, chef at the Oak Room at the Plaza, a tiny raw tuna plate with veggies, a delightful taste and a quick reminder to those who stubbornly refuse to eat raw fish: you don't know what you are missing. On the dessert front, I liked the cream raspberry cakes offered by Ferrara Bakery, smooth and not particularly sugary. The cinnamon ice cream from Van Leeuwen Artisan Ice Cream truck wasn't my favorite but I am not used to so unique tastes. The Dandoy Biscuits with their Speculos reminded of my days in Brussels and I enjoyed them thoroughly - they were slightly lighter to their Belgian equivalent but equally tasty. Finally, the South African wine bars on all floors were light and fresh, and matched well with the "whole" experience. Congratulations to the Premier-Tinis (an amazing cocktail in a very nice salmon/pink color). The experience was amazing and I left out plenty of chefs and restaurants. The awesome views and magnificent space of the Architects and Designers Building was the ideal location for this event. For a complete list of all participants, go to http://www.nytimes.whsites.net/taste_of_t/features.html. Paragraph is proud to host a reading with two of the most innovative writers of our time. Please join in welcoming Hannah Tinti and Lynne Tillman as they share their work at the home of our next-door neighbor, the lovely and gracious CLAY Health Club and Spa. A wine and cheese reception will follow at Paragraph. Hannah Tinti is co-founder and editor-in-chief of One Story magazine, for which she won the 2009 PEN/Nora Magid award for excellence in editing. Her short story collection, Animal Crackers, has sold in sixteen countries and was a runner-up for the PEN/Hemingway award. Her first novel, The Good Thief, is a New York Times Notable Book of the Year, recipient of the American Library Association's Alex Award, and winner of the John Sargent Sr. First Novel Prize. Lynne Tillman wrote the novels American Genius, A Comedy; Haunted Houses; Motion Sickness; Cast in Doubt and No Lease on Life, a finalist for the National Book Critics Circle Award in fiction and a New York Times Notable Book of the Year. Tillman has published three nonfiction books, including The Velvet Years: Warhol’s Factory 1965-67, and three story collections, most recently This Is Not It, stories and novellas written in response to the work of 22 contemporary artists. Her fiction has been included in numerous anthologies. In 2006 she was awarded a Guggenheim Fellowship. The Chocolate Show shut its doors for another year last Sunday and visitors are still puzzled without being able to decide if they would go for the spicy milk chocolate or the pure dark! This year's show was cozier and smaller compared to last year and maybe less crowed. New chocolate brands and names were present for the very first time in New York but also the loyal, old ones didn't forget their annual date with the Big Apple. The trend this year was eh ambiguity, at least for me. There was the proliferation of pure dark chocolate on one hand but on the other the odd mix of unusual tastes that made the whole chocolate "theme" rather stuffy. Milk chocolate from camel milk, chili spiced milk chocolate, chocolate with cashews, ginger and lemon zest, chocolate covered bacon (otherwise said pig candy), all-natural gourmet, peanut butter chocolate bars are some of the "over the top" blends. The pure dark was far more simple, tasty and plain and occasionally with the twist of nuts or dry fruits. Another addition was the chocolate sauces by Boissier, a pure French indulgence. And even if I am not known as an Italian food fan, the Italian pavilion impressed with new chocolate names (DeBondt, Compagnia del cioccolato, Maglio and Gobino) and with the very stingy samples. Bravo! Finally, I won't forget the old friend, the Baci pralines that come with the little paper of wisdom (sometimes I wonder if you get them to read the paper or to actually eat them). I would vote as the best the Pure dark chocolate. It scored high in all three: flavor, taste and presence. Their tiny dry fruit and roasted nuts covered in dark chocolate were a healthy sin, nonetheless addictive. Fika Choklad had the best truffles and pralines (and won an award for it) and the 2 Chicks with chocolate the funniest name! After two days in the show, I admit that I had tasted more than enough, using "writing" about food as an excuse. My reelationship with chocolate is very often a love and hate relationship. This year I came into terms with the fact that it's definitely more love. 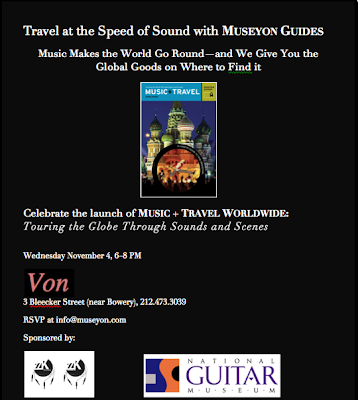 Join to celebrate the launch of MUSIC + TRAVEL WORLDWIDE, this Wednesday, November 4th at Von @ Bleecker Street from 6pm. This new guidebook published from Museyon Guides, combines the love of music with twelve international destinations. MUSIC + TRAVEL WORLDWIDE travels readers from Paris, where Muslim identity meets hip-hop beats to Chicago where they trace the history of jazz from its 1920s heyday through its recent revival, then flies them to Buenos Aires to experience the evolution of cumbia from the streets to the mainstream clubs (and many more cities around the globe!). So, if you are looking for a travel guide with a crash-course in world music, meticulously searched, with music sidebars and 246 full-color photos, this is for you!